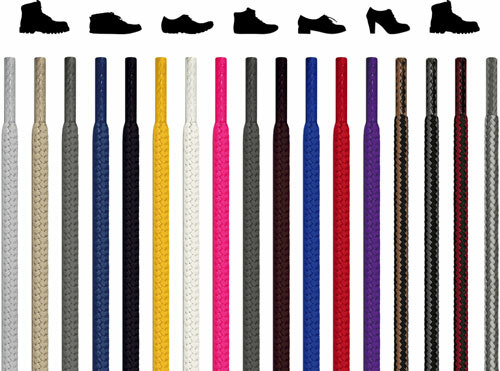 Flat Leather Shoelaces Exist Because Ordinary is Boring. 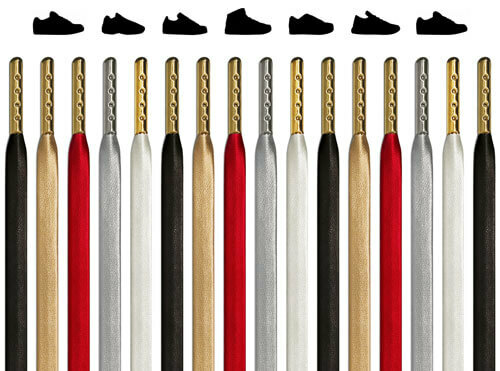 Flat leather shoelaces are for the boldest pair of sneakers that ever existed. The only way there's a more unique and inspiring pair of laces out there is if some alien planet used material humans haven't even discovered yet. Short of that, these are as cool as them come. So get ready to feel like you were sent down from a spaceship to share your shoe game with the human race. There's a good chance that you'll be proclaimed the ruler of the world. 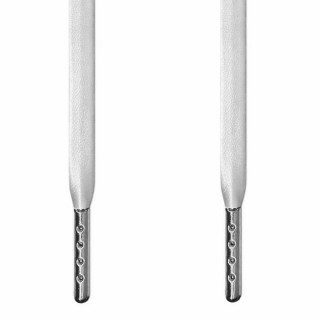 - 2 lengths available: 44", 51"
We at FeetUnique don't believe that any of our products are "just a pair of shoelaces." 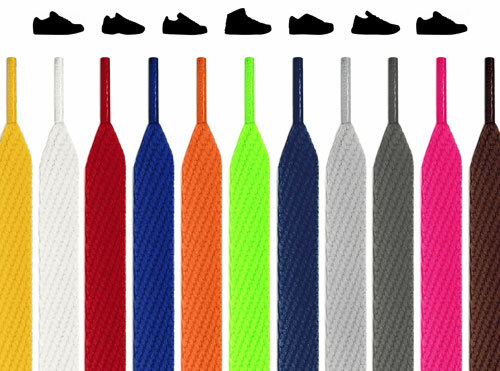 The difference quality laces can make when it comes to comfort, style, and life-changing possibilities is nothing to overlook. 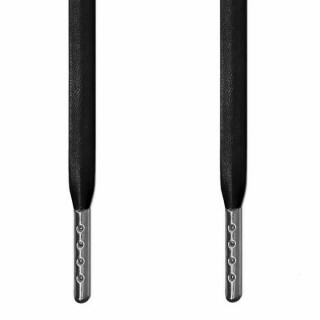 So please don't take this the wrong way…but flat leather shoelaces make other shoelaces seem boring in comparison. Once you get used to these on your feet, other laces will put you to sleep. 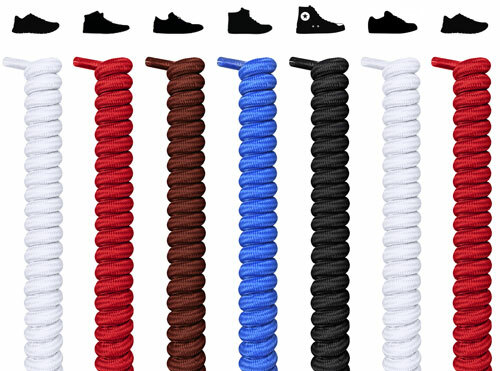 If you're looking into replacing your current pair of shoelaces, literally any pair at FeetUnique would be a huge upgrade. 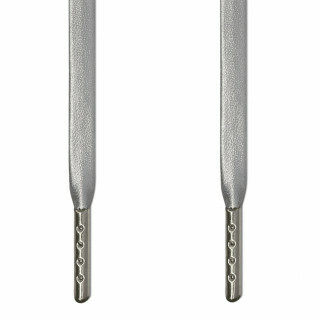 But flat leather shoelaces supercharge your style while still offering the quality we're known for. So it's safe to say that their durability and stretch make it easy to comfortably enter any situation and instantly make other people's shoes look utterly dull. 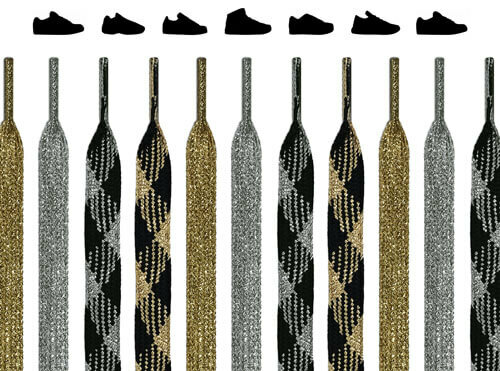 You could go for our executive collection – the gold and silver laces are of the highest class. 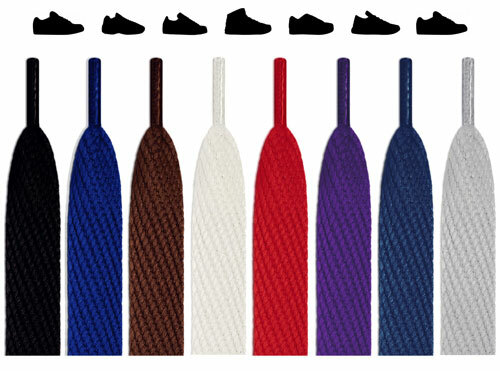 Or you could go for the more "traditional" black, red, or white laces. 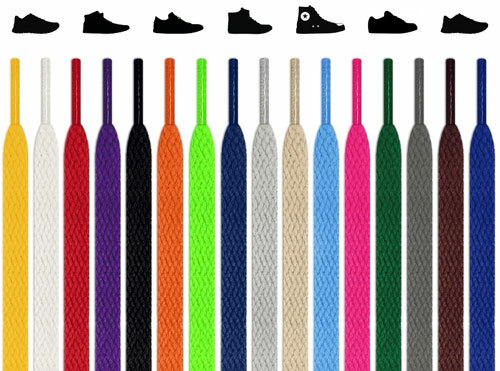 (By traditional, we mean strictly in terms of shoelace color. These are as sleek and modern as laces get. Futuristic would be putting it lightly.) Choose the color that goes best with your sneakers. The world has waited long enough. They need to see you in these shoes. We're excited for you. 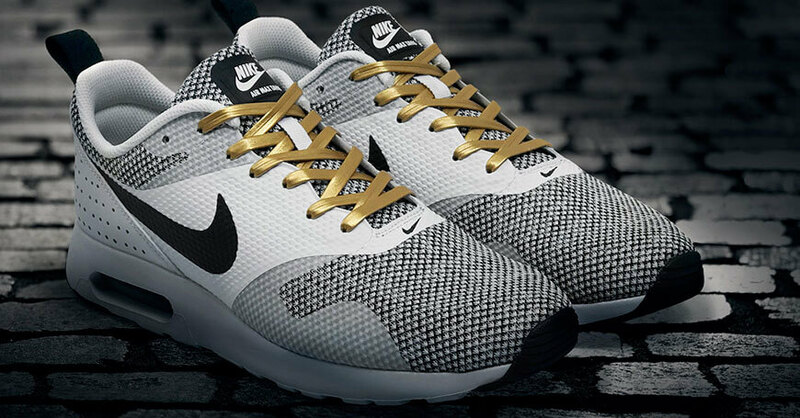 These laces are premium but affordable. They'll outlast the shoe itself, and our return policy doesn't have an expiration date. 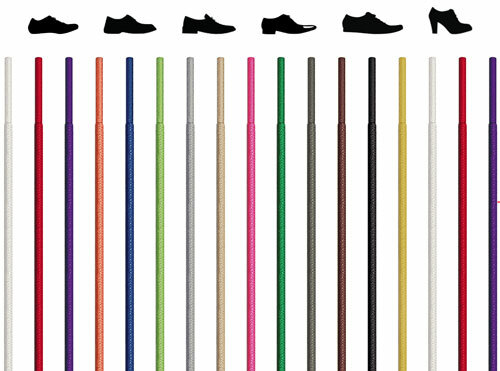 The colors of our flat leather shoelaces are versatile, so you could them switch up in other shoes or get a few pairs and switch up the laces. 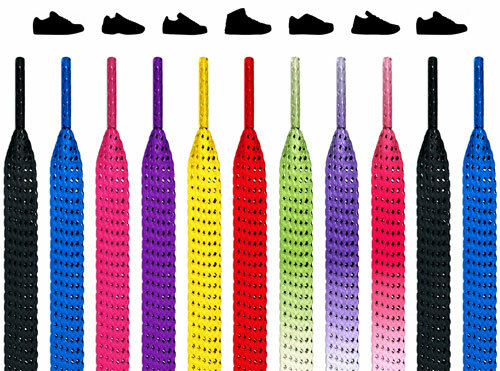 The possibilities are endless, but one thing is for certain: wearing these laces is more fun than heading to the rollercoaster store in a hi-tech spaceship. 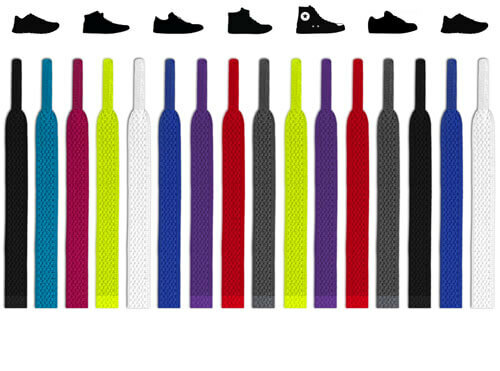 These are the laces for the new generation. They're for the people who are making waves today that will become tsunamis tomorrow. 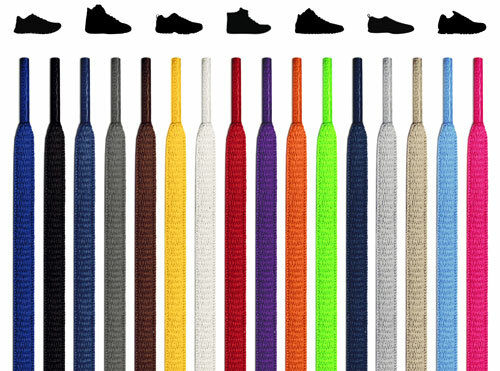 Flat leather shoelaces provide the smoothest transition from inferior quality to superior quality that you'll ever experience, lacing these up feels like watching a fireworks show above a parade that's been held in your honor. Are you ready to experience it? We think so too.